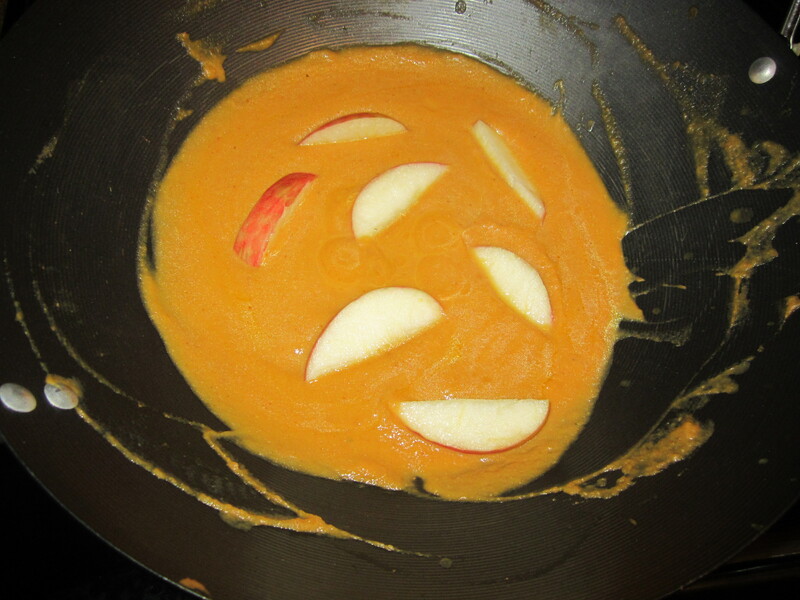 1) Let the butter simmer on a medium skillet, add the ginger, garlic powder, vanilla, salt and pepper, and apples. 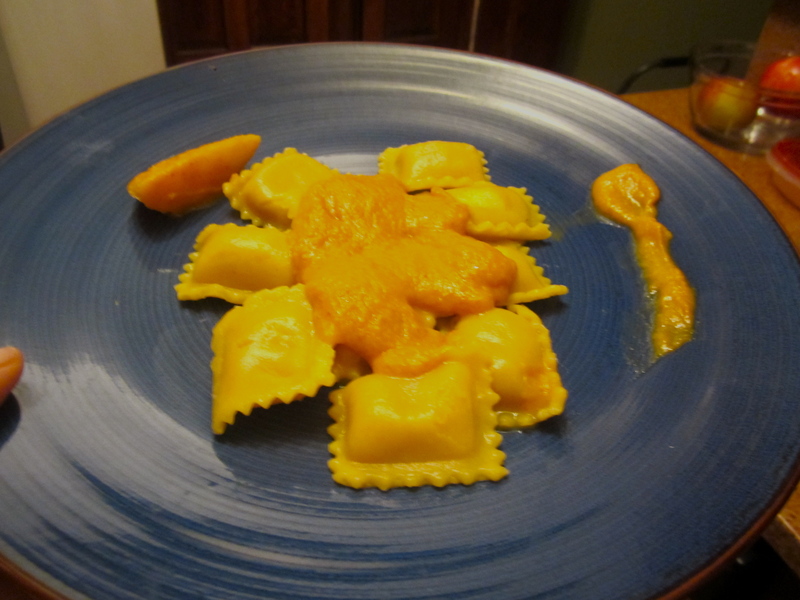 2) Add a 150z of canned pumpkin, stir in the broth and milk, add the cinnamon stick and bay leaf. Let simmer over low heat for 30 minutes stirring frequently. 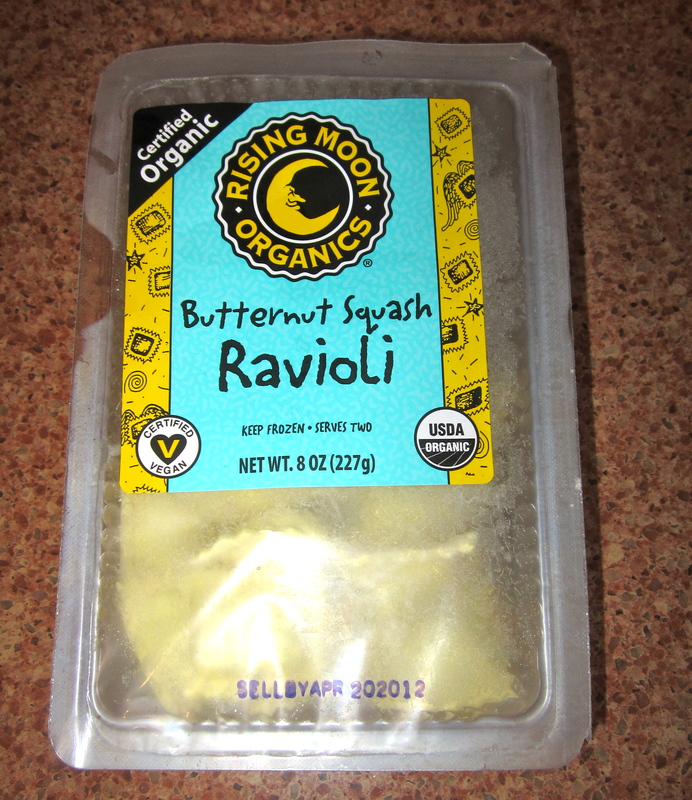 3) Cook the ravioli according to package. Enjoy! !